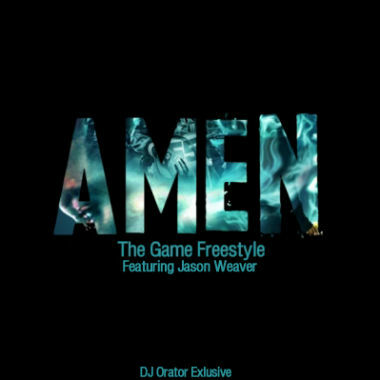 Compton’s own Game has released the hot remix of Meek Mill’s single “Amen,” featuring Jason Weaver, and Under The Gun cannot get enough. This smooth anthem from the MMG member originally came off of his Dreamchasers 2 mixtape and was one of our favorite jams on it. Game and Jason Weaver add their West Coast flair to the mix. Check out the “Amen” remix from Game by heading through the jump and comment with your thoughts on his interpretation of the smash hit.